What do Albert Einstein and rising damp have in common? Safeguard’s seminar Rising Damp: Causes and Treatment has the answer (and it’s capillarity*). Aimed at architects, builders and other specifiers, this RIBA-accredited seminar has been designed to help professionals keep up-to-date with the latest materials and systems, and can help them meet their ongoing commitments to Continued Professional Development (CPD). Rising damp occurs because water travels up through the pores in a wall’s material, with the height it reaches governed by a combination of pore size and the rate of evaporation from the surface of the wall. 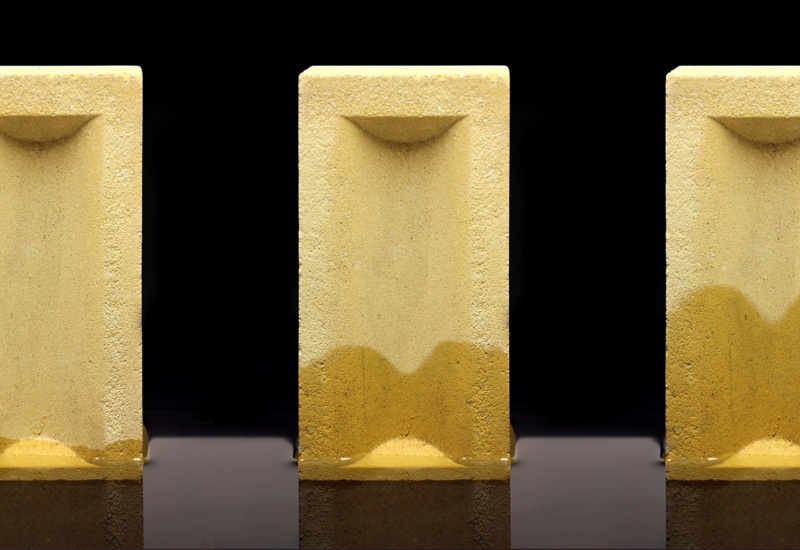 Limiting evaporation can exacerbate rising damp, a problem today’s building professionals need to bear in mind when specifying external wall insulation, as the Energy Saving Trust has warned. Once water has risen up the wall, there can be further problems due to salts in the water being deposited. Some salts such as nitrates and chlorides are hygroscopic, which means they attract water, so draw moisture from the air into the wall; double damp trouble. There are a number of treatments for rising damp – some more effective than others – which the seminar explains. The most popular treatment worldwide for rising damp is chemical DPCs which have developed from the early silicone or stearate liquids to silane/siloxane cream injections from 2000 and in 2014, to silane rods. The latter have been shown to be the most effective, as they ensure the even dispersion of the waterproofing molecules which is vital to forming a complete DPC. All chemical DPCs are not created equal, with a number of factors, including the concentration of waterproofing molecules, impacting heavily on a product’s effectiveness. Replastering is often required when treating rising damp, using a special plaster to prevent the recurrence of problems due to hygroscopic salts. A modern alterative to the 3:1 sand: cement render solution sees a salt-retardant primer applied to the wall and an adhesive which resists moisture and salt used to attach insulated plasterboard, saving time and money. What Safeguard’s CPD seminar proves is that rising damp is not a simple issue. Debate about it continues, for example around the best way to test the effectiveness of chemical DPCs. Understanding the science behind the treatment is important: only then can informed decision be made.